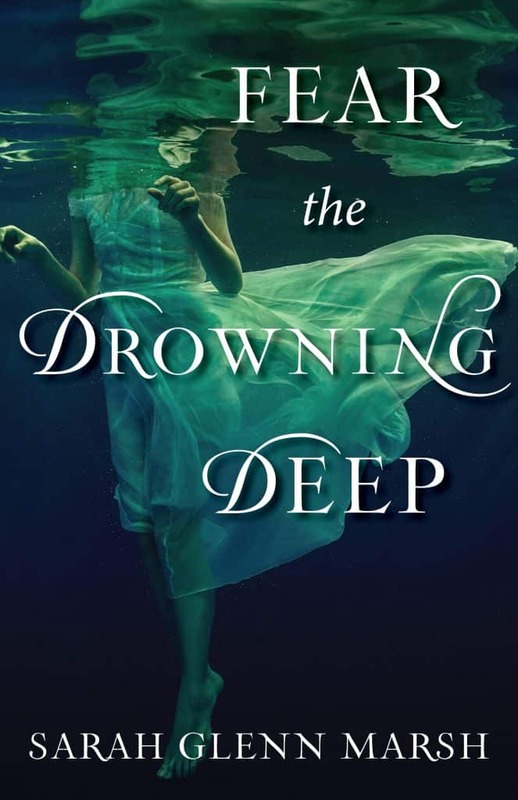 Today we’re getting excited about the upcoming release of Fear the Drowning Deep, a book Tamora Pierce has called, “Haunting–gripping–beautiful. So powerful!” Okay, if any of you grew up imprinting on Tamora Pierce like I did, that quote probably has you grinning and skimming ahead… so without further ado, here you go! So, how did you two meet and how long ago was it? Sarah: We met in June of 2013, on a warm early summer night when I first dreamed Bridey up. In some ways, I can’t believe it’s been three years already, and in others, it feels like I’ve known her for much longer than that! Bridey: You’re confused, silly. We met on May 15th, 1913, on the evening when I saw the drowned girl. It was the start of what would become the strangest, most terrifying, yet in some ways most wonderful summer of my life so far. Sarah: I thought Bridey was a kindred spirit. Curious, quiet, kind, and a little afraid, but also incredibly resilient. I admired the courage I could see in her from the start. Bridey: The first thing I noticed was that she’s an American! I wanted to ask if she had horses and lots of land. That’s what they give out in America, isn’t it? Land and horses? I can’t wait to get over there and see for myself! What’s the most embarrassing thing that’s happened between you two? Sarah: Bridey’s seen some of my worst typos and deleted scenes. Hopefully she’ll keep them to herself! Bridey: Well, she was there for all my kisses with Fynn. There are some things a girl would rather keep private, rather than being gawked at! Sarah, what do you feel the worst about doing to Bridey? Probably making her try to learn how to swim in the ocean. Even though she was with Fynn, it didn’t go so well! Bridey, if you could say just one thing to Sarah, what would it be? We need to talk about that ending…! After all we’ve been through together, I have a few demands that I think are more than fair! If you had a free day with no responsibilities and your only mission was to enjoy yourself, what would you each do? Sarah: I’d read a book (surprise, surprise! ), go get a pedicure, buy a giant ice cream, and spend the rest of the day at home with my greyhounds while playing Fallout 4. Those are all things I normally do, but they’re things I love, and a day free of responsibilities would make them all the more enjoyable! Bridey: I’d read, too. Granted, I only have one book at home, but maybe I could find transportation across the Isle to a library in Douglas city. I’d take my littlest sister, Grayse, to the bakery for a treat, and eat a whole bonnag (you’d call it a cake) by myself! Oh, and I wouldn’t look at the ocean once. I’d take my bonnag up to my favorite spot in the woods and stay there until sunset! Do you think you two will meet again in the future? Sarah: While there are no set plans, it’s not out of the realm of possibility! Bridey: That depends on whether Sarah can find me; I might be off on any number of adventures, maybe in Wales or Ireland, or maybe even in America! Bridey, what’s the worst thing you’ve ever done to someone? Why? As children, my sisters and I used to play games near Morag’s cottage. Daring each other to run up and touch the rotting wood, seeing who could get the farthest before running down the hill toward the village, shrieking, terrified of being hexed. Knowing what I do now, I regret ever taunting Morag that way. We only did it because we were young, seeking a thrill, but it was still wrong! Sarah, what have you read in the last few months that you really enjoyed? This is an easy one: The Long Way to a Small, Angry Planet by Becky Chambers. This book, you guys. It’s an adult sci-fi, and its strength and heart lie in its characters and unique, diverse world. The story follows the crew of a wormhole tunneling ship, and each has a fascinating story and perspectives. I dare you to read this and not get tangled up in the nuances of each crew member and their relationships. Whether you like sci-fi or not, since the focus is on character rather than plot, I’d recommend it to just about everyone! Sarah: Thank you so much for having Bridey and me on your blog! Bridey: Cair vie! That means, “Fair winds” or bon voyage in Manx! You’re welcome! Thanks so much for the interview! 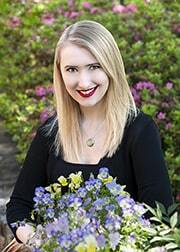 Sarah Glenn Marsh is an author of young adult novels and children’s picture books. An avid fantasy reader from the day her dad handed her a copy of The Hobbit and promised it would change her life, she’s been making up words and worlds ever since. She lives in Virginia with her husband and their tiny zoo of four rescued greyhounds, a bird, and many fish.